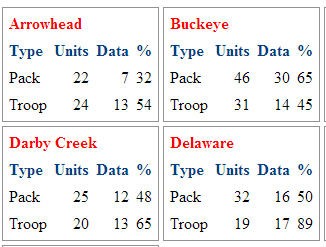 Scout councils are constantly needing to collect data. For example, at Popcorn time you'll want to know each unit's Popcorn Kernel and their contact information. Forms Online is the tool for the job. 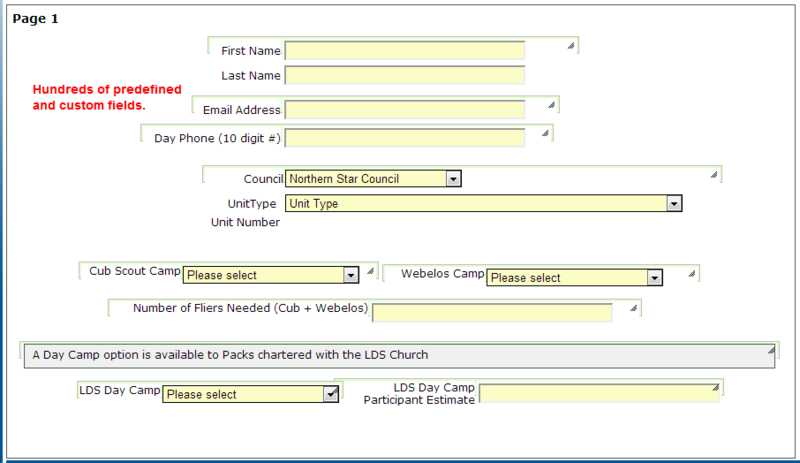 You can quickly design and publish data collection forms. Choose from over 100 predefined fields or create your own custom fields, including dropdown lists and radio buttons. Predefined fields include validated information, such as unit lists, rank, and leadership position. Entered data is easily available in spreadsheets. 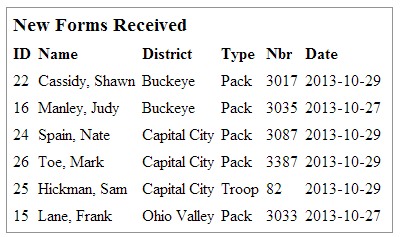 When requesting unit information, district screens quickly show your field staff how their districts are responding. 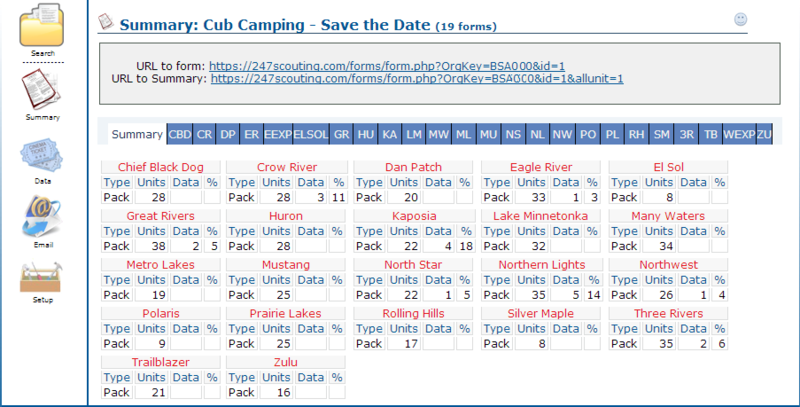 Forms Online is a 100% free addition to Scouting Event - there are no fees for setup or usage.